First, watch the video below to see what you will need to do in this lesson. Activity #2: Watch the video, "My Online Neighborhood"
At the end of this lesson, double check to see that you have completed each of the activities. When using the computer and going on the internet it is important to be a good digital citizen. What is a good citizen? Good question! Read the presentation to find out. Click on the picture to the right to get started. When you click the presentation will open up in a new window as a PDF file. How can you be safe online? How can you be respectful online? How can you be responsible online? Watch the video to the right to learn more about what you can do online with the internet. It also shares a few tips for staying safe while online. What are some of the things you can do on the internet? How can you stay safe while on the internet? 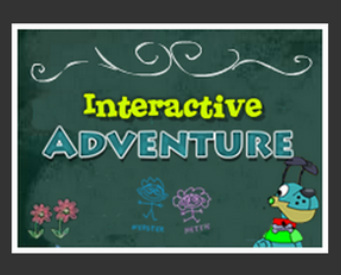 Next, play this interactive game to learn how to be safe and respectful while online. You will need to create a username so that you can save your progress and continue later if needed. Remember to use only your first name or a nickname when creating a username. At the end of the game, print your certificate and turn it in to Ms. Wologo. Click on the picture to the right to begin playing. The game will open in a new window. This will be your first blog post of the course. You will need to click on the tab labeled "Colonist Blogs." Once on this page, find the button that has your student number and click on it. This will open up your personal blog page that you will be posting on throughout the course. To begin a new entry, click on the button that says "New Post." This will give you a blank writing space to type your entry. When you are finished typing your entry, click "Publish." For this lesson's blog post you will be writing about what it means to be a good digital citizen. Your entry should be in paragraph form, including complete sentences and correct punctuation, spelling, and grammar. 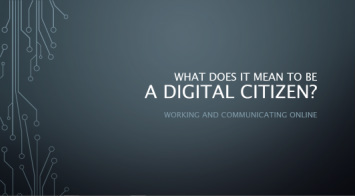 What does it mean to be a good digital citizen? What are some of the rules you should follow when online and using the internet? What could you do or who could you ask if you needed help while online? What are some ways to stay safe while on the internet? Take the online quiz to show what you have learned about being a good online citizen. Make sure to put your first name and last initial, so you get credit for completing the quiz. Choose the best answer for each question. When you are finished, press the Submit button at the bottom. Playing games on the internet. Being safe, respectful, and responsible while online. Sharing your information online. Using social media. Being mean to others online. Meeting new friends online. Respecting other online by being kind and respectful. A new video game. If you have extra time go ahead and check out these other activities and websites to learn more about digital citizenship. Check out more videos with Clicky and the gang. Play more games to learn about online safety. Read e-books about digital citizenship.